1. If you have kids and your municipal water supply does not have the recommended level of fluoride, talk to your pediatrician about fluoride supplements. Fluoride strengthens both the teeth you can see and the ones still forming in the jaw. 2. Set a timer when you brush to make sure you spend at least two minutes thoroughly (but gently!) cleaning all surfaces. Don’t forget your tongue – it provides a cozy home for bacteria to flourish. 3. Floss before you brush so that tooth bristles can better reach between teeth. 4. If you can’t brush after a meal, chew some sugarless gum with xylitol. Xylitol may curb the growth of bacteria on your teeth to reduce plaque formation. 5. Eat carbohydrates with meals instead of alone as snacks. More saliva is generated while eating a meal and this can lessen the effects of carbs sitting on your teeth. 6. An oral fluoride rinse used right before bedtime adds an extra measure of decay deterrence. Fluoride rinses (not traditional mouthwash) work best when swished over teeth for at least thirty seconds after flossing and brushing. After spitting it out, don’t rinse with water. Let the residue protect and strengthen your enamel all night long. This is especially important for kids – just make sure they don’t swallow it. 7. If you have diabetes, it is important to understand that unhealthy blood sugar levels can increase your risk of tooth decay and gum disease. Your dentist can help you maintain oral health in spite of your condition. If you have already experienced dental complications related to diabetes, schedule a consultation with Stephen and Kimberly Dankworth. 8. Beware of the dental risks of chronic dry mouth (xerostomia). Continual saliva production is essential for keeping the mouth lubricated, washing the food from tooth surfaces, and neutralizing the acid caused by plaque. Decongestants, blood pressure medications, antidepressants, and painkillers are some of the medications that can cause dry mouth. Stephen and Kimberly Dankworth can help you protect your teeth if you live with this unpleasant condition. 9. Wearing a mouthguard when you participate in sports can prevent tooth injury. Many Carlsbad dentists offer custom mouthguards that fit perfectly. 10. 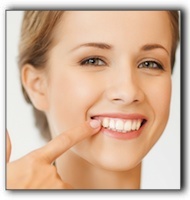 If you are looking for an excellent dentist in the Carlsbad area, we invite you to schedule an appointment with Drs. Stephen and Kimberly Dankworth at La Costa Dental Excellence. At La Costa Dental Excellence, we provide gentle, quality care for children and adults. Talk to us about preventative, restorative, cosmetic, or children’s dentistry. We look forward to serving you. Dental Confidence Or Caution In California?